This coming Friday, 1st July sees the 100th anniversary of the start of the Battle of the Somme. The first day of which is acknowledged as the most devastating day in British army history, with nearly 60,000 British casualties on that day alone. By the end of the battle, which raged until November 1916, over 1 million soldiers from both sides of the conflict, had been killed or wounded. Of course much has been published on this period in history. A search on the Derbyshire Library catalogue under the simple term of ‘Battle of the Somme’, gives 98 results. For me, the real impact of the battle comes from reading first hand accounts, and many of these too have been published. A quick look on the shelves of our Local Studies Collection in the Record Office brought to my attention ‘Almost like a dream’: a parish at war 1914-19, edited by Michael Austin. From the beginning of the Great War until its end, the vicar of St. Michael’s in Derby, encouraged men from his parish who had joined the services to write to him, to talk about their experiences. These letters were then published in the parish magazine – a vital way to keep the community close to the men they had waved goodbye to. The letters, hastily scribbled by working class men, show us the stark reality of life fighting for ‘King and Country’. Copies of this book are available to borrow through your local Derbyshire Library – a poignant read at any time, but maybe even more so with the forthcoming anniversary in mind. FindersKeepers depends on the help of home-based volunteers to process archive lists so they can be put into our catalogue. To find out more about the project, see the FindersKeepers page on this blog. As part of my work experience at the Record Office, I recently carried out a transcription of a meeting from Minute Book of the Belper Union Meeting of Guardians. Here is a summary of what I discovered as an example of a typical meeting and showing the kind of information you can find in other similar records. From 1835, Boards of Guardians were elected by parishioners and were responsible for ensuring the poor were housed, fed and given work they were fit enough to undertake, this was instead of giving money to them to look after themselves. As years went by the guardians were given additional duties which were not related to the poor, and the county councils took over the all the jobs when the Boards of Guardians ceased in 1930. Exactly 100 years ago today on the 10th June 1916 the Belper Union meeting, was chaired by J H Starkey. Twenty four people attended the meeting. The minutes from the previous meeting on the 27th May 1916 were taken and confirmed. The Clerk examined the Master’s Day Book from the past two weeks and all was correct, he also looked at the other books required to be kept by the master. He reported that he had looked at the Outdoor Relief lists, receipt and expenditure book and Relieving Officers Relief Order books which were in accordance with orders from the guardians and was certified and signed. The report on state of the workhouse accounts and books relative to the relief of the poor were looked at, directions were given regarding the future management and discipline of the workhouse, and an order of all the invoices totals were posted in the ledger to the credit of invoice accounts. Invoice for the Midsummer quarter of weeks 9 and 10 for provisions, clothing, furniture, property, necessaries, repairs and drugs looked at in the meeting. Out relief order for the past two weeks appear on the relieving officers receipts and expenditure books were posted in the Ledger to the credit of relieving officers for Arthur Dicken and Hubert Jauncey for out relief and non-settled poor for weeks 9 and 10. Several sums on accounts for the guardians appeared to have been paid from the master’s receipts and payment book and these payments were ordered to be posted in the ledger. The payments included salaries for the engineer, clothing from the tailors and firewood for the month of May. It appeared that several sums on account of the guardians had been received. The total amount was posted for the ledger to the debit of the master and credited as follows for May: firewood sales, pig, Sark Foundry Co and the common fund. An order was given for cheques to be signed and all amounts to be posted to the ledger for credit of the treasurers and debited for accounts of the relieving officers, A Dicken and H Jauncey. There were also the salaries for the various people working in the workhouse from the probationers to the foster mothers. There were also the collector’s salaries for J G Walters in Alfreton, to the lunatic asylum for the removal of A G Morrell by A Dicken, subscriptions for Idridgehay Nursing Association, establishment for books from Shaw and Sons, maintenance for the Leicester union maintenance of C Spencer, and an invoice payment for F P Westridge for wood. In the treasurers book it appeared the following sums had been received and the amount was posted to the ledger to the debit of treasurers and credit of the Parochial ledger from May 29 to June 9 for contributions for various areas in and around Derbyshire. The collectors account includes payments for maintenance, out relief, lunatic asylum and rations. The clerk had a letter from Mr F W Walters of Pentrich requesting a temporary sum of money due to the absences of the rate collector who had been called up for military service for the Parish of Pentrich. The move was made by Mr Towlson and seconded by Mr Bridges, and it was resolved to let payment to go ahead and charge to the Parish of Pentrich. A circular letter from the Local Government Board which was dated 26th May, dealing with the Local Government Emergency Provisions Act 1916, was read by the clerk. There was a leave of absence letter from Dr Clayton for a Dr R G Allen as Medical Officer for the Cottage Homes for leave from the 1st July, he had taken a commission in the R.A.M. Corps [Royal Army Medical Corps], which was granted. They then read out the report of the vaccination officer. A letter from J Smith the barber thanked the guardians for granting leave, due to illness. He resumed his duties after illness. Willie Mathers from the Training Ship in Exmouth was given permission to spend his time at the workhouse on his summer holidays. 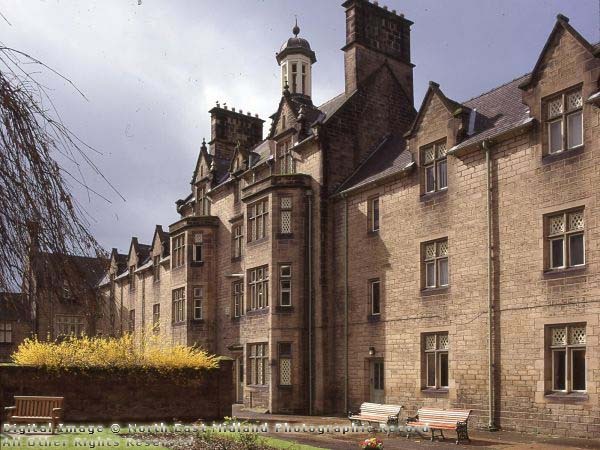 A Deputation consisting of members and the Clerk, visited the Mickleover Asylum, and their expenses are to be paid. The Clerk read a letter from the Reliving Officers requesting annual holidays – all were granted their annual holiday, and that the costs for substitutes for each were covered. That brings an end to my post. The Derbyshire Safe Place Scheme is a voluntary scheme for organisations and businesses who wish to join a network of designated safe places throughout the county. 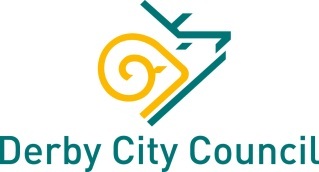 The scheme is run by Derbyshire County Council, Derbyshire Constabulary and MacIntyre, a national charity who provide learning, support and care for children and adults with learning disabilities . These safe places provide help for people who may feel unwell, confused, threatened or are in trouble whilst out and about in their local community. As a Safe Place we can offer a safe, friendly and comfortable environment for anyone who may need our help. Our newly trained staff can offer support and practical help, such as contacting family members, carers or friends for anyone who needs assistance. Staff were trained by representatives of MacIntyre, Helen Blanksby, a Keeping Safe Champion (pictured holding the Safe Places logo) and Neil Abdy, Training & Development Officer for the Safe Places scheme. We are proud to be one of many Safe Places around the county. To see a list of all the Safe Places in Derbyshire log on to the Safe Places website at http://www.derbyshire.gov.uk/safeplaces. You will know a Safe Place by the logo which will be on display. I have already mentioned medieval Dronfield Hall Barn in a previous post, which opened in April as a Cultural Centre in the town. We recently added their publication “A History of Dronfield in a Quilt” to our collection. At the time this project was proposed, April 2014, work began on designing and making a quilt to celebrate its opening. It was decided to base it on the medieval history of the town. As this was intended as a community project, helpers were sort from the district and 30 volunteers came forward. The group looked into the Old Dronfield Society archives, and at the Parish Church for ideas . The medieval windows of St Johns Church became the basis of the design. Vibrant primary colours were chosen, fabric bought and Photoshop helped with fitting together the different elements. Finally the finished individual pieces were sewn together and it was entered into the NEC’s Festival of Quilts where it received a commendation.